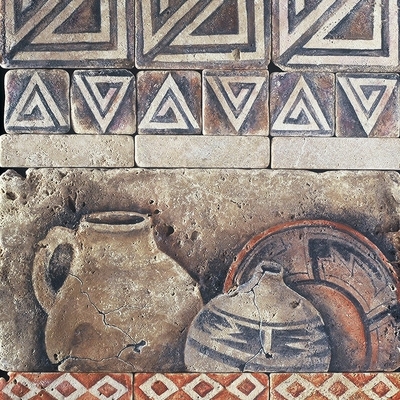 Our hand painted stone tiles are a great way to bring an old world look into your home and kitchen. 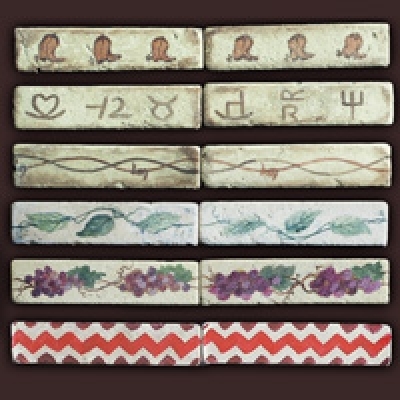 Each piece is hand finished from beginning to end resulting in a truly one of a kind art on stone. Our painted stone tiles arrive to you sealed with a stone impregnator to protect from moisture, dirt, and oil (except field tiles). These tiles are meant for vertical wall use only - do not use harsh or abrasive cleaners. Pick and choose from a variety of different sizes and design motifs to fit your home including grapes/wine themes, southwestern and cowboy/western, native Indian and geometric patterns, and New Mexico "mestizo" style. 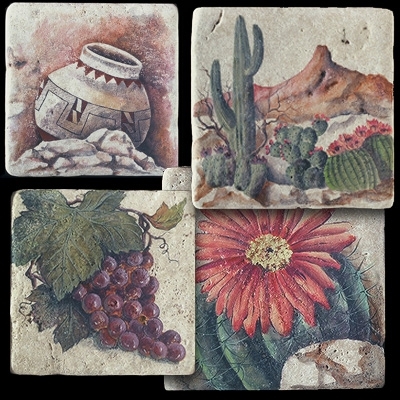 Traditional flowers, fruit, and vegetable designs are offered in a mixture of decorative tiles and even ristra sets. Even make your own matching coasters with 4x4 tiles. 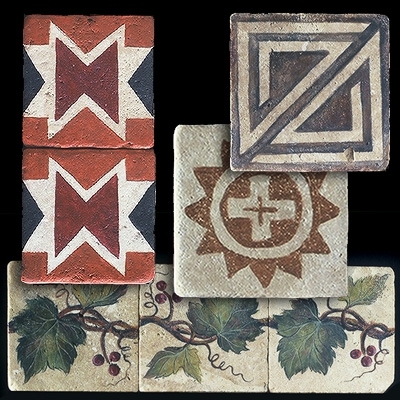 Mix and match liner and border tiles with the larger deco tiles of your choice!